After finishing school and getting your degree, you decide to open up your very own hip and trendy boutique! 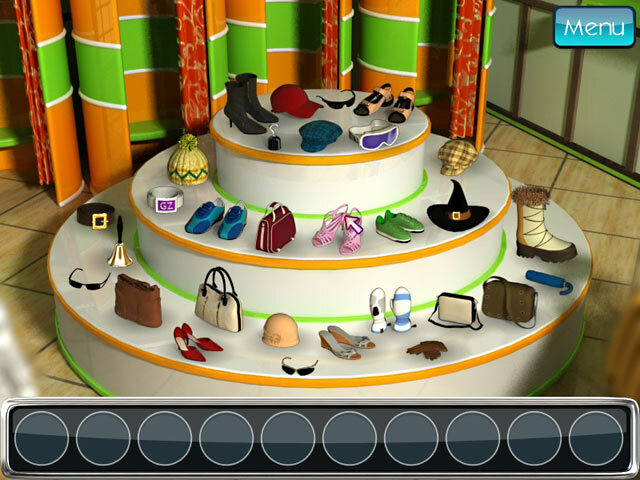 Sell fantastic clothes, find perfect outfits for your clients, and earn your very own Fashion Fortune! 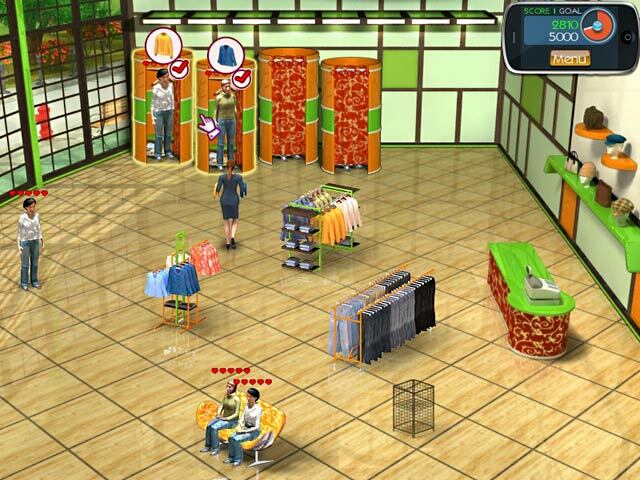 Purchase helpful upgrades to increase profits and expand your store in this fun and exciting Time Management game. Can you work your way to the top and make your boutique the number one place to shop? 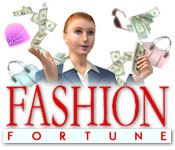 Fashion Fortune is rated 3.3 out of 5 by 9. Rated 5 out of 5 by mayalanlove1 from i love this game cool i love to play game a lot and i fine this one is very nice game i enjoy thk u. Rated 5 out of 5 by juliabennett from Tough Stuff This time management game requires strategy and quick work. But the last level was so hard that I was not able to complete it at all, let alone at expert. Still, I enjoyed it a lot and recommend it for hours of fun. Rated 4 out of 5 by pses from Fun virtual business/time management/strategy game! 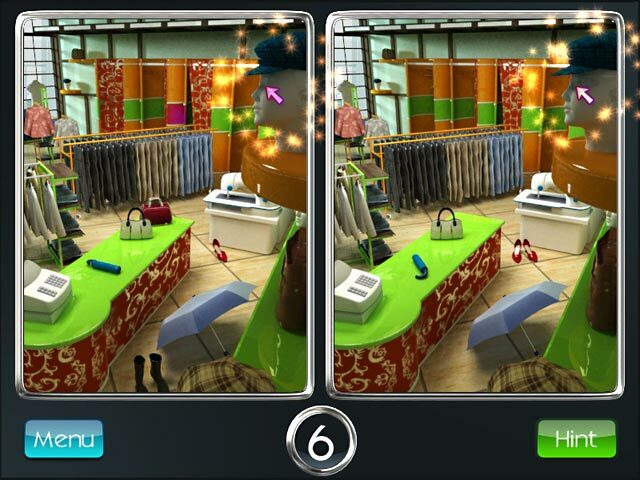 This is a fresh take on the fashion-type games and virtual business games. The graphics are less cartoony, and is more challenging while remaining light-hearted and fun. You're running a fashion boutique and have realistic challenges, including auditors, shoplifters, and super-shoppers, and need to serve customers, keep clothing, accessories in stock, handle various challenges as they happen, while reaching specific goals. This is one of my favorites of this genre. Rated 3 out of 5 by TRACYSB from IT'S OK Well, if you are just getting into "time management" games then it's not a bad game at all. It's just so boring for advanced players. You do the same thing all the time. The only difference is you can pick the accessories you sell. - BIG WOW! (amount of sarcasm). Would have preferred the customers to come to the till, not just disappear once they've been served. The various "extra" bits were boring as well, shop-lifter etc - I just got annoyed with them. Rated 3 out of 5 by ellietries from A good intro to TM but not for seasoned players If you are new to TM games then this is a nice way to start, clear instructions, smooth gameplay and a chance to build up your skills. However if you have played lots of TM games then this will be a very easy game to play- that isn't to say it's a bad game but it is frustrating as you feel held back by it's simplicity. The gameplay is repetitive, there are 10 levels per store and you start with minimal items at the start of each, using your earnings to fill the store with extra stock, sofas, changing rooms.etc. They do throw in tax inspectors, shoplifters and quality control to try and mix it up which does help. The graphics are a bit dated but not bad by anymeans and the gameply is smooth and easy to control. You can skip the cutscenes and tutorials if you wish. The couple of mini games are, well a way to bulk out the number of levels in all honesty. Simple spot the difference, matching photos are not taxing. Overall i would recommend this game to either new TM players or if you want a game to dip into, the demo does pass an hour quite nicely but it's not for advanced players. Rated 3 out of 5 by kenya64 from Mixed on the fun and repetitiveness. This game was okay, but not that challenging and after a while your like 'forgetting you have this game'. I never finished playing it. I guess if you're into having a fashion store it may be worth the time. Rated 1 out of 5 by coffeeguy from You'll "Loose" Interest Quickly To say this game is not aesthetically pleasing is kind. It is part art, and part (terribly) manipulated photography. The main character has zero personality, her face so plain that you barely notice it. The customers are poorly-rendered photo cut outs that are not animated. You can barely make out the faces, and one I swore was a man turned out to be a female. You just drag them to the dressing room, where they stand motionless until they disappear after their purchases are complete. Again zero animation as far as the customers, and what little animation exists within the game is just poor quality. The first 10 levels are mind-numbing, they are so easy. Also annoying, the fact that even if the expert score is reached, you are allotted a small amount to spend on upgrades. By contrast, the second store goes from a bit of a challenge to next-to-impossible around level 15. What really was the last straw was a warning about shoplifters - "be careful or you will LOOSE your money". Spelling mistakes that get by are just unforgivable. However, I realized the poor spelling was on par with the game itself - unprofessional, uninspired and not aesthetically pleasing. The mechanics of the game are way off as well. I don't like to write negative reviews, but this game proved to be so bad, I felt compelled. Rated 1 out of 5 by relaxinginthesun from Waste of time Fashion Fortune was a complete waste of time. The mini games in between levels are not related to the game, they are repetitive and boring. The game levels itself are beyond boring and repetitive. This game has ZERO replay value. It was a waste of time and money. If the trial period were longer, there is NO way I would have wasted money on this game. To sum up, if I knew then what I know now, I wouldn't have wasted my time nor money.